The first snow has come to Seoul. That means the outdoor rock climbing season is over. In order to be stronger even during the winter, you can go to indoor climbing gyms. 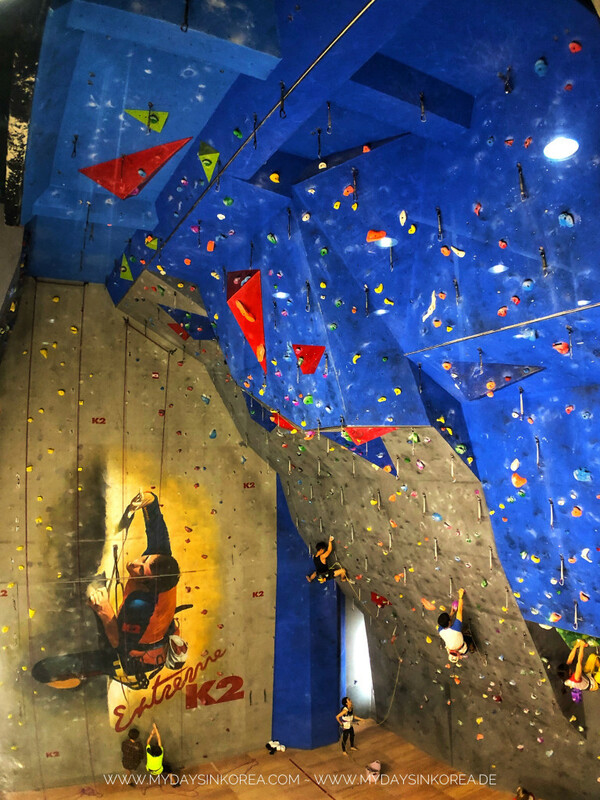 Beside the DYNO Wall by The North Face, in Seoul you can also visit K2 Climbing & Fitness (K2 C&F). 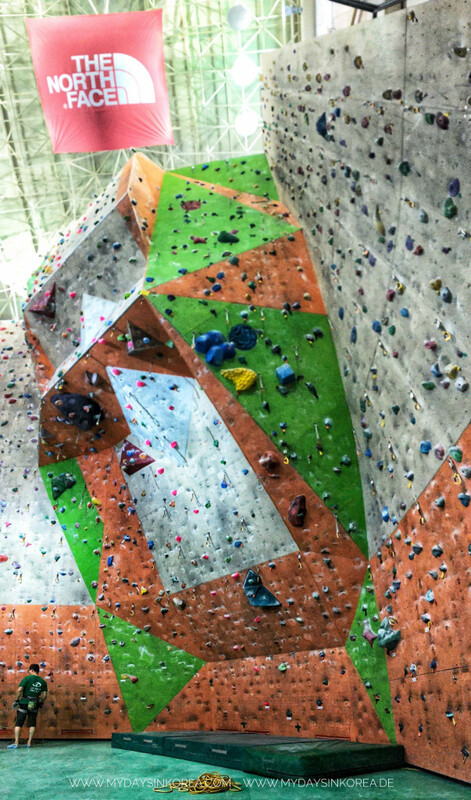 I have checked it out recently and I have to say, it’s an awesome climbing gym. Closest subway station: Seongsu Station (Linie 2), Exit 2 or Konkuk University Station (Line 2), Exit 1. The K2 C&F is located in a building on a main street, where the Eider shop can also be found. You can enter either via the Eider shop or through the entrance on the side road. Since Seoul’s summer is always too hot, humid or rainy, it’s not advisable to go for out door climbing here. 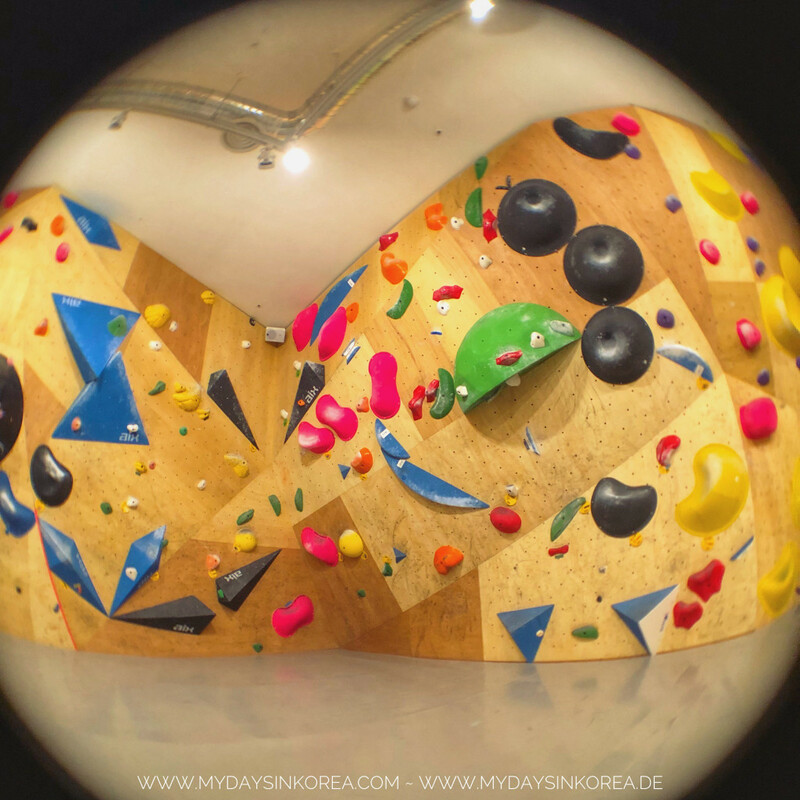 But you can try out one of the indoor climbing facilities in the city, for example the DYNO Wall by The North Face (TNF) in Gangbuk district. Climbing and bouldering, both are possible here. Closest subway station: Suyu Station (Line 4), Exit 1, then go straight for about 100m until you see the TNF building on your right. Through Instagram I’ve noticed that there is a new Boulder gym in Yeongdeungpo, which is recently opened on June 16th. Today I went there to check it out and had a lot of fun.